Sheffield’s Olympic Track and Field Medallists. Bennion Kearney Limited. Cambridge Massachusetts, London England: The MIT Press. Andrew Gorman-Murray and Peter Hopkins (eds) (2014). Masculinities and place. Susannah Hagan (2015). Ecological Urbanism: The Nature of the City. Volveremos. Director Ignacio Fradejas-García. 2008. 57 minutes. Dell’arte della guerra (On the Art of War). Directed by Silvia Luzi and Luca Bellino. 2012. 85 minutes. Distributed by Lab 80 Film, Indieair Films, Tfilm. Cast in India. Directed by Natasha Raheja. 2014. 26 minutes, Colour. A Media Archaeology of Boston. Directed by Jesse Shapins and Olga Touloumi. The Shebabs of Yarmouk. Directed by Axel Salvatori-Sinz, 2013. 78 minutes. Colour, Distributed by DOCKS 66. J.M. Mondésir. Directed by Alice Colomer-Kang. 2012. 24 minutes. Colour. Distributed by Le Fresnoy – Studio National des Arts Contemporains. 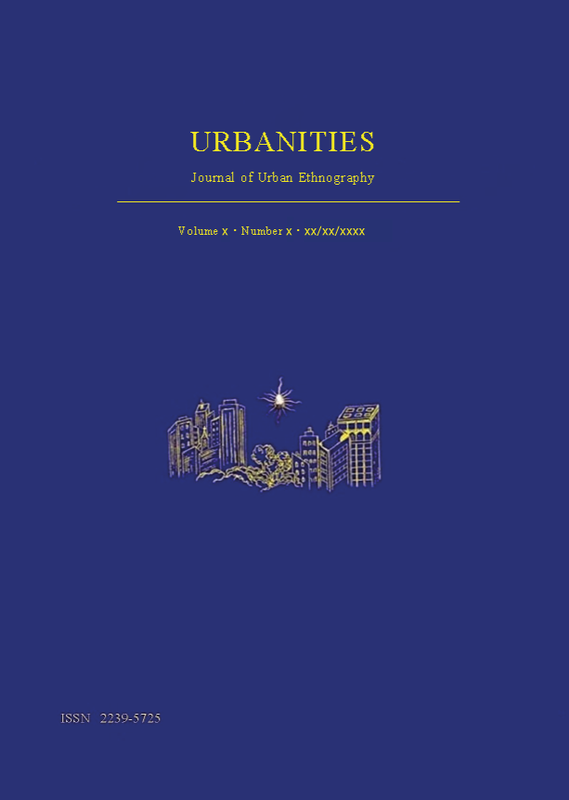 Urbanities provides readers with free and open access to excellent new scholarship. There are no processing or publication fees for authors. Urbanities relies on donations to fund its operations. If you wish to support Urbanities, click the Donate button above and follow the simple instructions. Thank you.